During the battle on Titan in Avengers: Infinity War, there are two key moments. 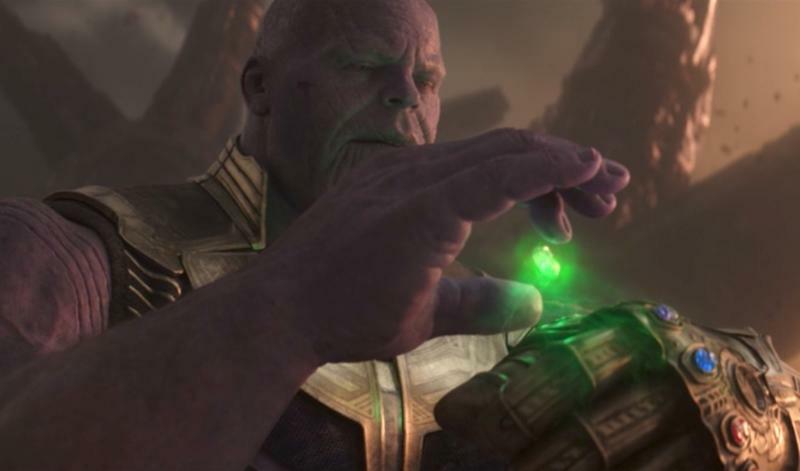 The first comes when the team fails to pry the Infinity Gaunlet from Thanos; the second occurs when Doctor Strange reluctantly hands the Time Stone to Thanos, an act that could be much more complex than it seems. According to a convincing new theory, Doctor Strange didn’t just hand the Time Stone to Thanos in order to save Tony Stark, he did it because it’s crucial to defeating Thanos. When Doctor Strange hands over the Time Stone to Thanos, runes specific to the magic of Strange and other sorcerers can be seen. None of the other Infinity Stones feature a visual flourish like that, suggesting the curse is working as intended. We can see the same runes when Thanos uses the Time Stone on Wakanda. Thanos’ arm and the Infinity Gauntlet are both severely damaged following the snap, suggesting the curse was designed to injure the Mad Titan. His arm is burned in such a way that is similar to when Ebony Maw tried grabbing the Eye of Aggamoto during the invasion of New York. The theory jives with other speculation about Doctor Strange and his cleverness with the Time Stone. Earlier in Avengers: Infinity War, he made it crystal clear that under no circumstances would he give up the Time Stone. But once he used the stone to look into the future, he realized that saving Tony and giving up the Time Stone was the only way to win. If the curse did injure Thanos and damaged the gauntlet, it could allow the Avengers to acquire their own gauntlet and overpower Thanos once they go back in time and collect the Infinity Stones. Either way, Doctor Strange’s actions were very calculated, and handing the Time Stone over to Thanos was the only path to victory. We’ll find out just how Strange’s plan unfolds when Avengers 4 hits theaters on May 3, 2019.